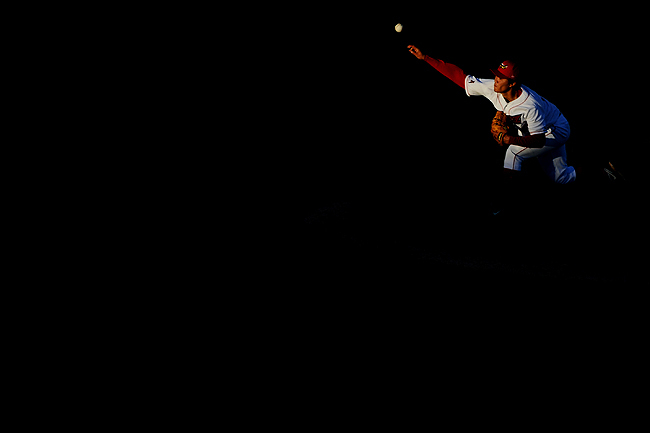 "In a shaft of light, Orem Owlz' Pill Joon Jang (36) pitches against Idaho Falls Chukars during the fourth-inning at Brent Brown Ballpark in Orem, Saturday, June 26, 2010." The Orem Owlz games are no Baltimore Orioles games, but they do have some nice light and don't charge for media hot dogs. The games typically start at 7 p.m., which gives use shooters more than an hour of great light. Although, it does make exposing for the infield and outfield about a five-stop difference. And I should say, I love Baltimore, but come on Os'!